Members of the Institute of Luxury Home Marketing are real estate professionals that have been trained by top-level experts in our program to enhance the individual’s skills to better assist the affluent sellers and buyers. 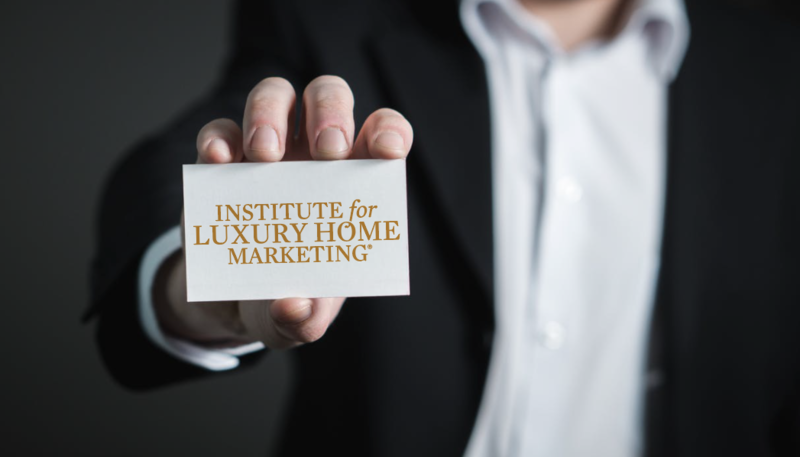 Upon becoming a member of the Institute of Luxury Home Marketing, you are granted access to online resources, member-only tools and products. Along with gaining extensive training and skills, you also become a part of a community with endless networking and growth opportunities. Be a licensed real estate professional, member of the National Association of REALTORS®, National Association of Home Builders®, or International Consortium of Real Estate Associations (ICREA). Complete the Institute’s Luxury Home Sales Training course, online or live. The Institute’s live and online trainings are open to any licensed REALTORS® or member of the International Consortium of Real Estate Associations (ICREA). Included with the training registration is one year of membership with The Institute and immediate access to our exclusive, members-only tools, resources, and discounted products. You are given options to choose which training course best suits your needs or schedule. The institute offers a live, 2-day training hosted across the United States and Canada and an online training accessible from anywhere that you can complete at your own pace. Both training options include the same great content so you can choose which suits your learning style best. Successful completion of training gains you membership with The Institute and is the first step in earning the Certified Luxury Home Marketing Specialist™ designation and achieving the Million Dollar GUILD™ recognition. Whether you would like to complete your training in person with one of our expert trainers, or work at your own pace with our online course, visit our training information page to take the first step in advancing your career in luxury real estate! Can I become a member? I am sitting in Chur, Switzerland, in the middle of the Swiss alps. I am specialized on holiday homes and Chalets. Please visit our BECOME A MEMBER page to learn more. And how dreamy! Luxury homes in the Swiss Alps sounds so lovely!